June 28, 2016 January 14, 2017 HandheldPlayers 0 Comments 2016, Action-Adventure, Character, June, LEGO, LEGO Star Wars: The Force Awakens, New Releases, PS Vita, PS3, PS4, Release Date, Trailer, Warner Bros. Entertainment Inc. The action-adventure LEGO Star Wars: The Force Awakens is now available for the PS Vita, PS3 and PS4 in North America and Europe both physically and digitally. LEGO Star Wars: The Force Awakens marks the triumphant return of the No. 1 LEGO videogame franchise, allowing fans and newcomers to relive the action from the hit film in a way that only LEGO games can offer, featuring storylines from Star Wars: The Force Awakens, retold through the clever and witty LEGO lens. For the first time in a video game, players can experience new adventures within the Star Wars galaxy set in the time leading up to the movie, providing deeper insights into the film’s characters and most memorable moments. 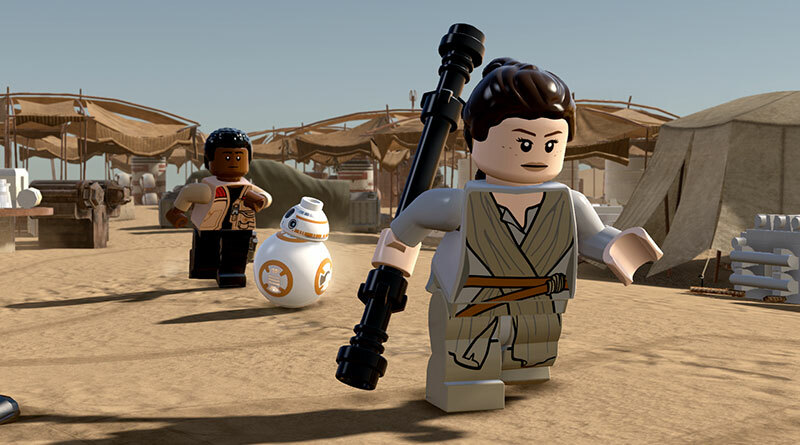 LEGO Star Wars: The Force Awakens introduces various new gameplay features that push the series forward. Players can now engage in intense Blaster Battles, using objects and structures as cover while driving back the First Order. For the first time, Multi-Builds allow the same pile of LEGO bricks to be used for multiple purposes, such as building and re-building different objects to puzzle solve and advance the game is different ways. Lastly, players can experience the thrill of high-speed flight gameplay like never before, piloting iconic vehicles, including the legendary Millennium Falcon, through arena-based aerial battles and dogfights in space. LEGO Star Wars: The Force Awakens offers five free-play HUB areas to explore, including D’Qar, Jakku, the Millennium Falcon interior, Starkiller Base and Takodana, along with more than 200 collectible and customizable characters and more than 80 vehicles and creatures. The game also features original dialogue from key members of the theatrical cast, providing the most authentic Star Wars experience for players, including Harrison Ford (Han Solo), Daisy Ridley (Rey), John Boyega (Finn), and many more.